. The #8 Turquoise Mine closed several years ago which makes #8 Turquoise Mine Jewelry very rare and collectible. White Buffalo Pendant, Sterling Silver, Navajo made. 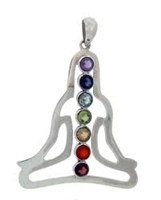 Rhodocrosite pendant. 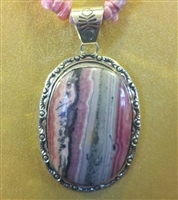 With pink, cream & gray variations marbled throughout.